Happy New Year | A blog about smart POS software for independent small businesses. To our hundreds of Chinese, Malaysian and Vietnamese customers, Happy New Year. May it be prosperous, healthy and happy for all. 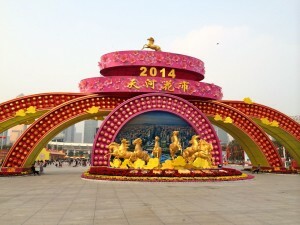 The photo is from the square in Guangzhou – from Monday this week. Return on Investment is the amount of profit or cost saving that will be realized in return for a specific expenditure of money, usually express as a percentage of the original monetary outlay. The ROI ratio compares the net benefits of a project to its total costs. In the Tower Systems Point of Sale software since we released the software ROI has been one of the KPIs our customers can measure and report on – at a variety of levels. We back this reporting with advice and training on the KPI, what it means and the decisions that can flow from reporting on this. ROI is not the only important KPI we report on with our software, stock turn, return on floor space, gross profit … they are all there in the easy to read and robust reports in our POS software – all KPIs any smart retailer will want to track and report on for their business. A difference for Tower Systems is that we help our retail business partners understand the data and the decisions that can flow from such understanding. We happily do this remotely, or one on one face to face. In our business we have retail experienced people to offer insights as well as our own in house CPA. The Tower AdvantageTM is about much more than great software and great support. We offer valuable business insights. Tower Systems has announced details of eight free online training opportunities in february for retailers using its Point of Sale software. Tower AdvantageTM customers can book for these free workshops online – the process is automated. If you check our website you will see online training workshops scheduled out to the end of May – providing plenty of opportunities for planning. Navigating a business idea through start-up can be challenging, especially a high street retail idea in a tough economic climate for retail and amongst a sea of competitors in a retail landscape where borders between types of retail businesses are blurred. Choosing the right POS software company to partner with through start-up and beyond is vital to the success of the business plans. POS software needs to be flexible for the business and embedded with opportunities beyond what the business needs today in start-up mode and packed with facilities for operation well into mature operation. This is challenging because the needs of a start-up retail business evolve with the business, especially in terms of marketing. Good POS software will be flexible and feature-rich with facilities for the start-up business to leverage as the different phases in its development and operation. Tower Systems has worked with many retail start-ups. We have developed unique software for some and leveraged our existing Point of Sale software for others. In each situation, we have enjoyed working with and learning from start-up opportunities. We have appreciated being able to share our own experiences as retailers and as service providers to retailers. Before a new retail business opens and before much money is spent, the people behind the start-up are usually excited and full of dreams. This is a joyful time. We try and not dent to joy but to buttress it with business processes, experience and knowledge to help the joy of start-up last longer. In our Point of Sale software we have facilities to help a start-up retail business hit the ground running with many facilities such as ready to use loyalty options from INSTANT REWARDS to the more mature points-based loyalty cards. Indeed, in the area of loyalty we can see an excellent example of good POS software that can grow with the needs of a business. While a start-up retail entrepreneur may want to run a points-based system in the long-term, the commercial needs of the business may be better served by an immediate rewards approach as supported by our robust and deeply mature discount voucher facilities. This is just one of the areas where we can have a data-based business discussion with those behind a retail start-up – to explore the options that work best for them. We’re excited! 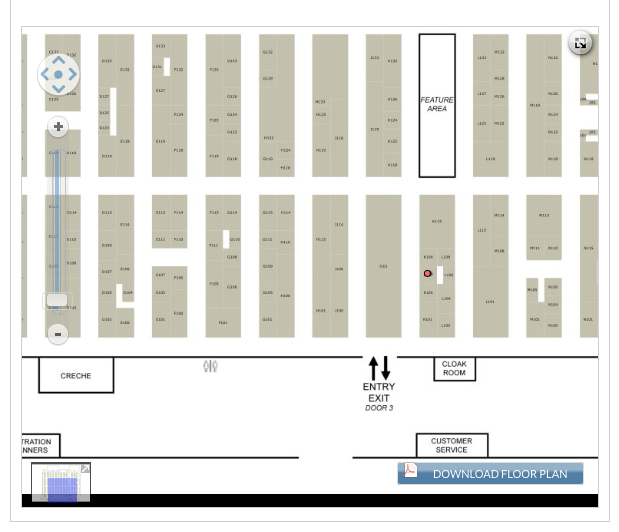 The latest version of the Tower Systems gift shop software will be on show at the Reed Gift Fair in Melbourne this weekend. That’s right: fresh up-to-date software developed specifically to help gift shops and homewares stores make more money, developed with gift retailers in all sorts of situations and of all sizes. Developing software for specific retail channels is what we do. We work closely with retailers in the channels and suppliers to these retailers – developing software to serve needs specific to the channels to bind them together. On show at the Reed Gift Fair will be fresh new software for gift retailers … some excellent business building tools designed to help small and independent retailers better serve customers and drive more value from their businesses. This is why we are excited! Tower Systems has hosted two live discount voucher training sessions already this year, offering retailers insights, advice and training on the proper setup and running of discount vouchers and how discount vouchers are proving to be more successful for retail businesses than the old and tiresome points-based VIP / loyalty card systems. From the time we launched discount vouchers we have backed the software facilities with business rules. This has included collateral, terms and conditions and other support materials. We have been able to provide such practical and valued advice because we’re retailers too. We can share advice based on our own experience and with the backing of our legal and CPA experts on business regulations. With hundreds of retailers using our discount vouchers facilities we are building good insights and experiences with our innovative and exclusive business growth opportunity. yes, this is about much more than just software – it’s about business integration, staff training and over the counter pitch and management. Employee theft can kill a retail business. Smart POS software provides tools for theft tracking and theft management. Ours does. Retailers who use theft management tools are more likely to reduce the impact of theft on their business. Theft like any business cost needs management. WARNING: This blog post has some crazy ideas you’d not expect from a POS software company. In our work with small business retailers we often hear about burnout, retailers being tired and over the grind of opening the shop working all day, closing, getting little sleep and doing it all again. They are often too tired to be innovative in their approach to business. Call us crazy but we have some ideas designed to help small business retailers reconnect with their businesses. They are unconventional. They are free. They are fun. They are designed to get you looking, hearing and smelling your business differently. They are designed to open your eyes to opportunities you may be missing. Are you ready? Here are our unconventional ideas for refreshing your views of your small retail business – in the hope that you find opportunities you were not seeing. Go to your shop at night time. Leave the lights off. Put a chair on the middle of the shop floor. Sit down. Take your shoes and socks or stockings off. Put a blindfold on. Soak it up. What do you smell? What do you hear? Is there any sense of place that you get from being there. Be still for fifteen minutes or so thinking about this. Breathe deeply. How does your shop smell? Does it have a smell? If not, why not? Then take the blindfold off and look around you for another fifteen minutes. Finally, get up – with your shoes and socks or stockings still off – and walk around the shop. Take in the environment you are in control of. Let the ideas flow. If you want to take it to a deeper level, lie down on the floor on your back and look up and around – kind of up-skirt your own shop while it’s empty! Get a stool or fold up chair, pack a lunch and spend at least three lunchtimes in a week sitting opposite the entrance to your shop watching customers. Don’t write anything down, just watch. Preferably do this without people noticing you. Wear a disguise if necessary. Watch intently. See where people go, what they pick up, what they buy if possible. Try and predict what they will do. Watch and think. Watch and think. Get a small desk and a sign for the desk that says CUSTOMER SERVICE. Place the desk near the front door of your shop. Set yourself up at the desk, sitting behind it. Dress formally, old school. Like in a 1950s movie preferably. Sit up straight. Look the part. Sit and wait and see what comes your way. Have fun interactive with customers. The desk should look out of place but it should also look fun. The idea is that your customers, your staff and you will be a bit shaken up by the change. See what comes your way. We have more crazy ideas. These barely scratch the surface of the crazy idea cupboard. Just ask. We’re here to help small business retailers create and run successful independent small local retail businesses. Our help goes beyond our software. Were retailers too and love being able to talk retail with anyone. 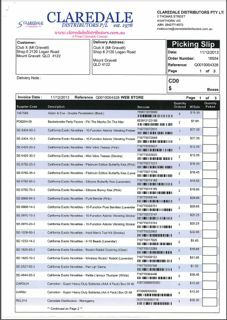 Tower Systems is proud of the packing slip options in its Point of Sale software. This document works in wholesale and retail situations where goods are packaged and sent to a customer. The detail of each item is excellent including the barcode for each line item listed on the packing slip. What is beautiful about the Tower Systems POS software is that the packing slip can be customised to serve the needs of each business. The flexibility is excellent and the result is professional – something of which the supplying business can be proud. 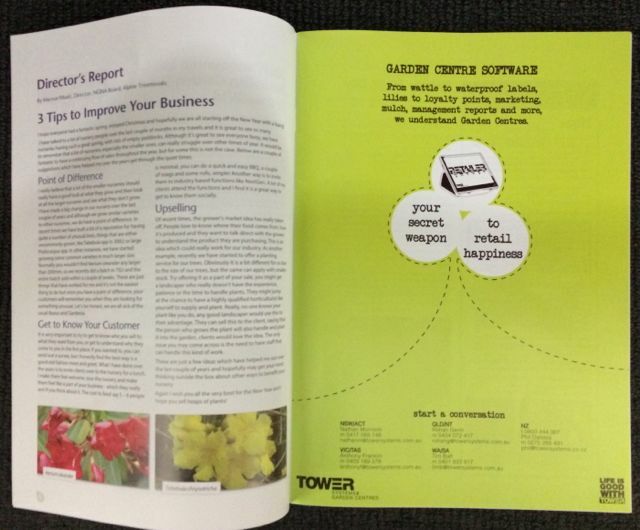 In providing extensive customisation opportunities for retailers and wholesalers in key business documents produced by its software, Tower Systems is demonstrating its commitment to flexibility and service – helping small businesses compete with docs produced by bigger competitors. Retailers and wholesalers using our Point of Sale software have access to a range of invoice options – from the simple to the detailed. Like all documents produced by the Tower Systems POS software, they are professional – a proud representation of the user business. The look of business documents is important, especially an invoice as it can assist in reading the details as well as giving an impression as to the professionalism of your business. 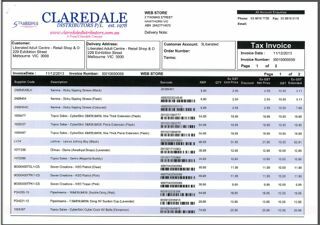 The image example is for one of our clients – showing an invoice generated by our software from webstore sales. We are proud of the look and feel of the generated invoice – it’s classy and professional. Retailers and wholesalers partnering with Tower Systems have access to excellent invoicing tools and options in their software. As the software matures so do these options – thanks to feedback from engaged customers. Pet shop product suppliers / wholesalers in Australia are embracing the opportunity to work with Tower Systems in delivering electronic invoices and other electronic trading opportunities to pet retailers using the pet shop software. Pet retailers using electronic invoices are able to quickly load accurate invoice data into their software, saving considerable time in bringing in new stock to the business. While to time saving is appreciated, the accuracy of business data is of important value to the business. Support of the Pet Industry Association of Australia by Tower Systems demonstrates the commitment of the company to the pet retail channel. It shows the company is serious about its support of the channel and its desire to learn about best practice opportunities from key players in the channel. Working with the industry association, as a sponsor and in other ways, is enabling Tower Systems to leverage its software in a deep and meaningful way for pet retailers. Just as pet retailers want pet owners to purchase products from their specialist businesses because of their specialist knowledge and proven care, Tower Systems seeks to be the preferred POS software supplier to pet retailers because of the time we have taken to integrate with pet suppliers, our support of the national association, engagement at key industry trade shows and the delivery of pet shop specific facilities in our software. Already in 2014 the company is working on further pet shop specific enhancements to our software, to better serve the needs of pet retailers and their trading partners – and though this better service of pet owners. 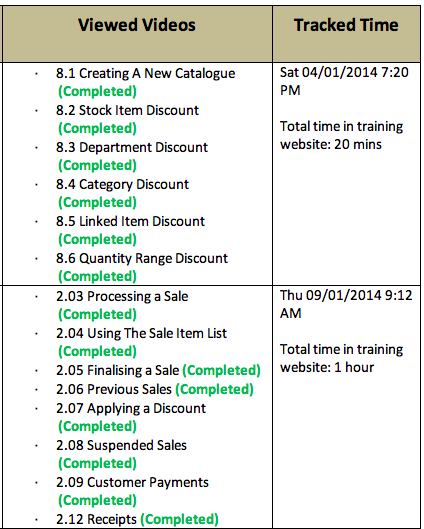 The next release of our pet shop software is currently being tested in advance of trial in several stores. 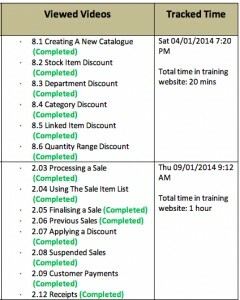 This release will deliver enhancements developed in consultation with pet retailers already using the software. 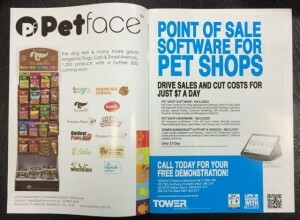 Just as pet retailers compete with supermarkets and other mass retail outlets for sales to pet owners, Tower Systems competes with a host of off the shelf generic POS products that are being pitched to pet retailers. We know that it is the pet shop specilisation in our pet shop software that matters most as this will help pet retailers to leverage their specialisation for the benefit of their customers. Retail in 2014 is all about exceptional and personal customer service. In a modern pet shop this starts with software finely tuned to serve the specific needs of a pet retail business. Tower Systems stands ready to help small and independent pet shops reach greatness. The traditional Australian newsagency business is iconic, quintessentially Australian – usually in every main street of every town. But times are changing, newsagencies are changing. Print media products are not selling like they used to, lottery products are selling more and more online, stationery customers are being pursued by major retailers. The small business newsagency that for well over 100 years has been a fixture on the Australian retail landscape is not what it used to be. Tower Systems is working with many newsagents on their business plans, helping them to explore opportunities and to understand changes in shopper behaviour as reflected in their sales data. We are actively engaged in tracking change and shining a light on opportunities we see as a result of change. Thanks to comprehensive data mining, personal experience with our own businesses, key supplier relationships and insights gained from retail strategy conferences overseas, Tower Systems is well-placed to help retail newsagents to navigate the changes we are seeing as well as those we do not currently see. Data, good data, is at the heart of this assistance. The Tower Systems newsagency software collects and curates data for individual newsagency businesses. Tower Systems aggregates this data for use in a range of situations for the benefit of newsagents who want to restructure their businesses for a stronger future. This is an iterative process that can unlock significant value for the businesses partnering with us. By this we mean that there are usually easy to implement change opportunities in the first round followed by more comprehensive change in subsequent rounds. The first step in helping newsagents to restructure and change their retail newsagency businesses is for the owners and the rest of the team to desire change. Tower Systems even helps with this by sharing change success stories, case studies where newsagents have made significant change to their businesses for the better in terms of traffic and revenue. While emotionally many will want the traditional newsagency to continue well into the future, the reality of retail today and the reality of paper based products today are such that change is essential. The key is to navigate change so that you continue to serve your valuable traditional shoppers which bringing in and serving new shoppers who can be part of the future of the business. Tower Systems is more that your average software company. We deeply engage with our customers in strategic ways beyond our POS software. Tower Systems is proud that its Pet Shop software will feature in a European promotion of the Australian Pet Shop industry thanks to our support of the Pet Industry Association of Australia. We are grateful for the opportunity and appreciate being considered to be part of the Australian representation. 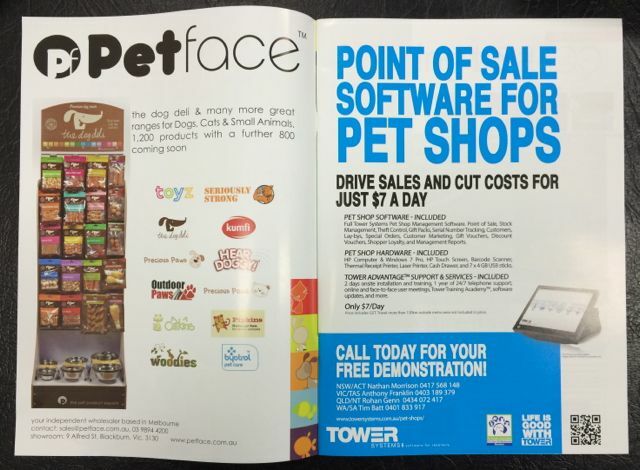 The Tower Systems Point of sale software for pet shops is gaining more traction with pet shop owners and their staff as the benefits of the software are being discussed and compared. There is particular appreciation around the latest release of the software that delivers on enhancements suggested by existing users – demonstrating our responsiveness to our customers. We’re looking forward to where the European exposure may take us. The Tower Systems garden centre software features in the latest issue of Nursery & Garden magazine. Promoting the latest release of our software for garden centres, this fresh for 2014 advertising is part of a co-ordinated campaign to reach out to garden centres and nurseries across Australia, to show off the quality business-specific software we have to meet their needs. The marketing itself reflects well on the professionalism of our software. 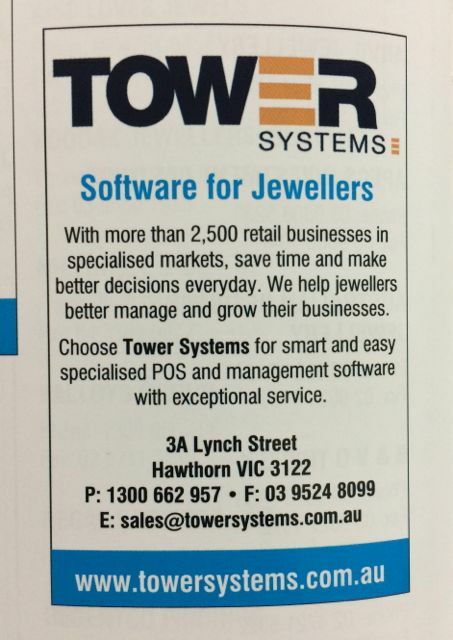 Tower Systems is promoting the latest version of its industry-standard jeweller software in the 2014 trade directory for jewellers that has just been published. This listing is timely with the release just a few weeks ago of a new version of our software for jewellers – delivering new facilities and enhancements to existing facilities – making it better software for jewellers in Australia, New Zealand and elsewhere. 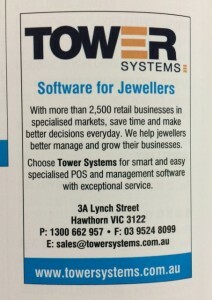 Tower Systems engages in a range of marketing activities reaching out to jewellers beyond this trade directory listing. 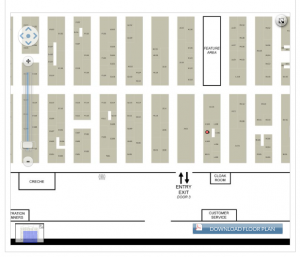 We participate in jeweller trade shows, industry events, direct marketing and online discussions. Our jeweller business experts meet with jewellers in-store to discuss business opportunities. Smart retailers offer gift cards for use in their business. While anyone can sell gift cards and gift EFTPOS cards for use in other businesses, only you can sell gift cards for redemption in your business. 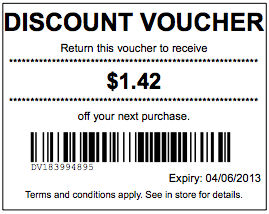 This provides the best commercial outcome for any retailer from a gift cards. Whereas you might mage a coupe of dollars selling a gift card or a gift EFTPOS card for use in another store, you keep 100% of the gift card value for a gift card sold by your for redemption in your business. We are having success with gift cards in a range of specialist retail businesses including jewellers, bike retailers, gift shops, newsagencies, garden centres, adult shops, pet shops to name a few. We can share experiences from these businesses to illustrate the value the drive for those businesses and the benefits of not leaking cash out of the business in the form of cards to be used elsewhere. More and more retailers and their employees are using the extensive library of professional video-based training that we offer for learning how to use and benefit from the Tower Systems Point of Sale software. We track all access to learn about how people engage with the resources we have provided. This access data provides us with valuable insights. It is a thrill to see new employees to a business using our software follow a thread of learning – it validates our investment in developing the resource and gives us confidence that we have another knowledgeable user in our community. This access-from-anywhere video based training library is not the only training we offer – our customers also have access to live in-store training, over the phone training and group live online training. They can choose the training delivery method that best serves their needs. The video training library is another part of our exclusive Tower AdvantageTM program. It is a valuable and appreciated point of difference for us. Retailers using our Tower Systems Point of Sale software can access their optional annual software support and update fee for a 10% discount if they settle the account on time. We are thrilled that many of our customers take up the opportunity. It’s another way we help our customers access more value in their relationship with us. Retailers who are covered by our software support and update services have access to 24/7 support, free one on one training, an extensive and updated video training library, weekly online training workshops, software updates, theft check service, business performance service and other facilities and services. We are thrilled to have retailers switch to our software because of the kind words spread by existing customers. Over the last two weeks we have added 63 new topics to our POS software Knowledge Base, providing even more resources for our Point of Sale software customers to access at their leisure. These new topics and the already comprehensive range of topics are proving to be valued resources to our customers. How do we know? We have analytic stats showing customer engagement. We can see how many customers, engage, what they are looking for, where they go and we have their feedback usefulness of the information. This information, in turn, informs the development of more content that helps our customers reach even better outcomes through the self-serve approach. We appreciate the support of our customers in guiding us through their searches and their more general engagement in our site and on the phone in telling us what additional information would be helpful and what would help them find out what they need to know for themselves. All the content for the knowledge base is developed, peer-reviewed and professionally edited at our head office. Customer comments can then lead to further review – to ensure that our advice is as helpful as possible to what our customers are querying. Why all these blog posts about gift cards? We have been running a series of posts on this blog about how various Tower Systems customers are using gift cards with their Tower software. We have been doing this to show off a valuable point of difference for our retail partners – in-store gift cards that are professional and used solely for the redemption in their store. Retailers make the most amount of money off gift cards that they sell for their shop – much more money than from selling gift cards for redemption in other stores. Tower has been working with customers on gift cards for many years and providing professional artwork and gift card production also for many years. This is a whole of business service – from the software to the unique and professional cards themselves. While our software also vends gift cards and vouchers for other retail businesses including VISA and other cards, it is the business-specific gift cards that help our retailers make the most money and present the most robust and consistent brand message. As retailers ourselves we understand the importance of retaining as much as possible in our businesses and not allowing dollars to leak outside our business that we could easily retain. We appreciate the opportunity to work with our customers strategically in this way. Tower Systems is thrilled to have been helping Classic Moves dance shop in Wollongong NSW to establish their customer loyalty program with this professional card. Classic Moves has been established in Wollogong for 18 years. They are considered to be the largest retailer of dancewear and accessories in the Illawarra and have a reputation for quality stock and professional, friendly service. Their loyal customers are respected with this very special card. Our in-house marketing and graphic design team has worked with Classic Moves on designing the cards and having them manufactured specifically for the business to give to customers. 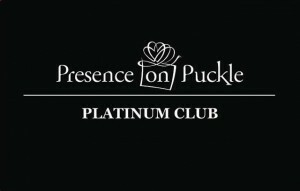 Kudos to the team at Presence of Puckle in Victoria for their Platinum Club card. 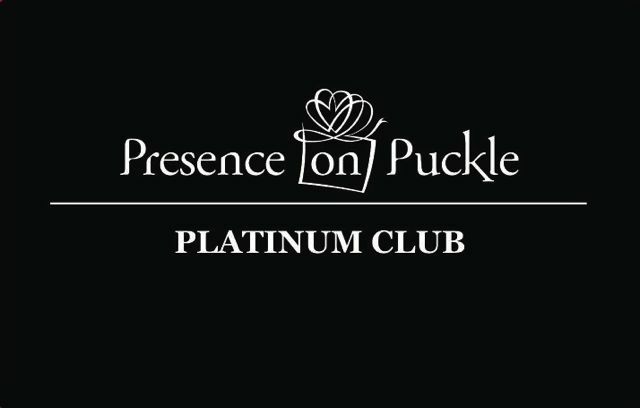 The lucky holders of this coveted card get a 10% discount of many items in-store at the wonderful Presence on Puckle business. By labelling this PLATINUM CLUB the business is making the holder of the card feel very special and appreciated. This is a great way to reward those most valuable of customers, your regulars who support your business. It’s an ideal small business program. While some businesses create a VIP card and call it just that, this business has gone for a fresh and inspiring approach. The Tower Systems marketing and creating team is thrilled to have been able to design and produce these cards as part of the service we offer our POS software customers. 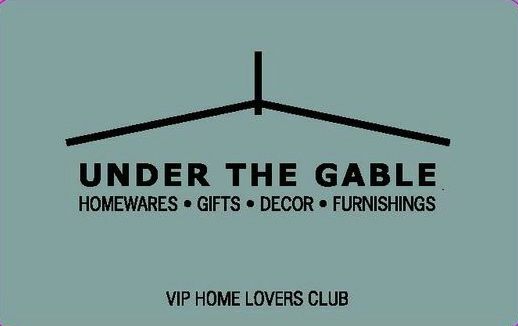 Under The Gable takes a fresh approach to the shopper loyalty program with this card we designed and created for them and their use of our gift shop software. 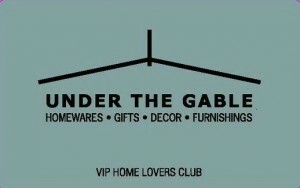 We love what they have called this: VIP HOME LOVERS CLUB. It’s smart and compelling, different to the usual approach taken for loyalty program offers. It’s a point of difference only a small business could offer, one leveraged well by the Under The Gable team. Kudos to them for their creativity. The Tower Systems marketing and design team designed the card and arranged its manufacture as an extension of the services we offer our customers. Pet shop businesses using our pet shop software are loving the opportunity of driving sales using gift vouchers. 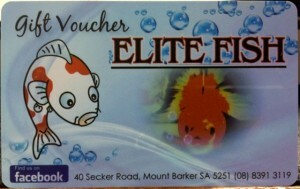 The photo shows a voucher / card we designed for Elite Fish in Mount Barker. This is one of the many new pet shops we have installed with our software recently. 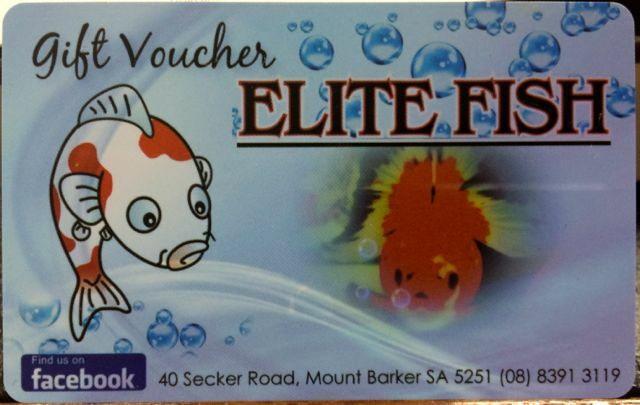 Using the git voucher, Elite Fish can sell to a customer who wants to be able to give a gift from the shop but who is unsure what to actually give. The flexibility in the Tower software when it comes to gift cards and gift vouchers is considerable.